One of the great things about this community is ability make connections with one another. take a little time to introduce ourselves! 3. Your favorite children's book and why? I'll kick us off: I'm Gilmar, the Community Manager of Hello, and I live in Washington, DC but was born in Los Angeles, CA. My favorite children's book is actually a series: The Magic Treehouse books. I loved how each book had a different theme and involved lots of fun time travel! My name is Janeen Ward and I am an instructor in the Early Childhood program at Southeast Community College in Lincoln, Nebraska. I own hundreds of children's books that I read to the students in my classes, so it's hard to pick a favorite. When I was little, I loved the Frog and Toad series. Now I love quirky books, such as those written by Mo Willems, Bob Shea, or Michael Ian Black. I also enjoy attending conferences and meeting children's book authors. Hello. I am Catherine Roach. I live in Milwaukee, Wisconsin and work in Brookfield as a 2 1/2-year old teacher for Grandma's House. I have several favorite children's books, but my absolute favorites are the books in the Come Along, Daisy series. The main character, Daisy, is just like my 2 1/2-year olds. Her adventures of being separated from her mama, being overwhelmed in a big group of ducks, and looking for the 'monster' on the farm are similar to the problems and play themes my littles experience. When I was little I loved the Happy Hollister series-their family had so much fun and so many adventures! 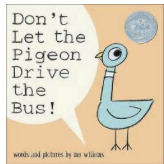 Janeen, I LOVE Mo Willems -- along with every kid I know! He's really great at responding to correspondence from children, too; we got a signed drawing of Pigeon at my school in RI! I had the pleasure of seeing Mo Willems, Dan Santat, and Laurie Keller last fall at the NAEYC Conference in L.A. It was amazing! My name is Becky Lewis and I have been a preschool lead teacher and a substitute elementary teacher for the past several years. Recently I got a job doing in home preschool instruction. It's all new, so wish me luck! I love Come Along Daisy! The illustrations are my most favorite! Hi! My name is Cynthia. I am a preschool director in Maplewood NJ. I really have a lot of favorite children's books, but I do enjoy reading Pete the Cat to my students. Hello! My name is Ankit Shah. I currently work as a RTI teacher within Educational Solutions Company. I have my Bachelors of Education in Early Childhood Education from University of Toledo. Afterwards, I taught 1st & 2nd grades in diverse elementary settings, which include IBO Magnet, Title I, and K-12 Charter School. After teaching for 5 years, I went onto pursue my Masters in Education in Higher Education Administration with Specialization in Student Affairs. After completing my masters degree, I worked within Career Development for about 5 years. I am currently in the process of exploring and wanting to pursue Ph.D degree that will authentically combine K-12 & Higher Education. I am quite excited to begin my new academic journey!! My favorite children books include: The Little Mouse, The Red Ripe Strawberry, and The Big Hungry Bear. It also helps that my own children love to read this particular book!! hi. what is an RTI teacher? thanks! My name is Ron Johnson. I am an Exceptional Education Teacher ? I am the founder and CEO of A Foundation of Children United to Succeed. My wife and I operate a Family Child Care & Learning Center I have to say that my favorite children's book is Amazing Grace. It's a book which I have been reading quite often to children even in my fifth grade class due to the relevance of teaching morals, values, and ethics. RTI is Response to Intervention. It is a strategy used to provide additional instruction to students who may be struggling in the areas or reading or math. It can also be used for behavior modification plans. RTI has been considered in the Diverse Learners community as a "workaround" that allows public schools to provide educational interventions without having to specifically identify a learning issue, without having to do any individual evaluations (costly...) AND without having to gain parental approval for pull-out work. That doesn't mean there are not great outcomes in may instances of RTI. Just that it is seen by many of us "spec ed parents" as a circumvention to get around the formal process of doing academic interventions for children who are struggling. Hi! I'm Chris Amirault. A native New Englander, I have been working as an early childhood systems consultant for the last year while my family lives in Mérida, Yucatán, Mexico, and in July we'll be moving up to Tulsa, Oklahoma where I'll be a school director with Tulsa Educare -- a thrilling new position, organization, and community! I'm a member of the NAEYC Affiliate Advisory Council and am really happy about Hello! My favorite children's book, without question, is "Amazing Grace," which is a deeply human book discussing a number of important issues related to family, culture, and identity in honest, thoughtful ways. It's great to meet y'all virtually! Oh I love the Amazing Grace books! We have a few of them at our house! I am Rhonda Perez, an infant toddler specialist from Skip-a-Long Child Care Connection in Peoria, Illinois. I recently changed from being the director of a child care center to my current position and I am loving it! I have a few favorite books: The Book With No Pictures/ Bear Snores On series/ The Little Mouse, the Red-Ripe Strawberry, and the Big Hungry Bear/ Tops and Bottoms/ Dinosaur Roar/The Color of My Days. Children's books for adults...Roxaboxen and the Dot. I know the kids always love Pete the Cat! Jennifer Burrell, Orange County, California: Where the Wild Things Are My first son is named Max, and we had so much fun reading and acting out that book. He is now 28 (! ), so it is a great memory. Thanks for starting this thread - great idea! I agree!! Where the Wild Things Are is an amazing adventure that my son (now 14) really loved -- I could probably still recite the whole story with actions and everything because we read it several times a day, every day. There are so many ways to use the story in a classroom or at home. My favorite book is The Very Hungry Caterpillar by Eric Carle because there are so many things to teach children from that book from the life cycle of a butterfly to healthy eating to tissue paper art and the fact that Eric Carle is still alive and answers letters from preschool teachers!! I'm Michael Coventry, Director of Digital Content Strategy at NAEYC. I'm originally from Shelbyville, Illinois, but I've lived in DC for 27 years. My favorite children's books have always been ANYTHING involving Curious George. I especially enjoyed "Curious George Rides a Bike" because I was always excited to go on bike rides with my mom and sister. As a side note: Gilmar and I work together as a team with the interest forums and their facilitators, and we also are the folks who built and manage the Hello space. You won't hear from me much, but I'm avidly reading and enjoying the conversations that are happening here, and am working with Gilmar to make this space the best online space for the early childhood community that it can be. Feel free to reach out to me and Gilmar for help with anything related to Hello. We have a shared email address for you to use: hello@naeyc.org. 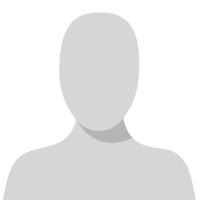 Hey, I am Pauline West, known to friends as Pat.I teach preschoolers in North Carolina. Children and reading are my passions in life. Eric Carle is my favorite author. I am eager to participate in this forum. As a side note: Gilmar and I work together as a team with the interest forums and their facilitators, and we also are the folks who built and manage the Hello space. You won't hear from me much, but I'm avidly reading and enjoying the conversations that are happening here, and working with Gilmar to make this space the best online space for the early childhood community that it can be. Feel free to reach out to me and Gilmar for help with anything related to Hello. We have a shared email address for you to use: hello@naeyc.org. Hello! My name is Holly Hendershot I am the director of the Zanesville Day Nursery in Zanesville, Ohio. I also have written and published an activity book 20 Fine Motor Activities for Home, currently available on Amazon and iTunes and Holly's Ideas website. My favorite child's book is The Red Ripe Strawberry and The Big Hungry Bear by Audrey Wood. I am a State of Connecticut approved Education Consultant (pre-school, school-age). My qualifications include over 25 years' experience in the classroom as well as numerous years volunteering with community related youth programs located in Fairfield County. I specialize in curriculum design with special focus on Art and Artists, as well as Nature, Math and Science. I am also available to assist with organizing the State of Connecticut Childcare Licensing documentation. I provide staff in-service training, act as an interim Head Teacher (Sec, 19a794a(c)(1) of the Regulations), and facilitate parent workshops. In addition I offer several classroom programs involving honeybees/insects, organic gardening for your school and famous artists/works of art among other fun and exciting activities designed for toddlers, preschoolers, school-age children. Hello, my name is Holly Hendershot an I am the director at Zanesville Day Nursery in Zanesville, Ohio. I recently published an activity book, 20 Fine Motor Activities for Home available on Amazon and Holly's Ideas. I have several children's book I enjoy reading to the children but two of my favorites are Brown Bear Brown Bear What do you see ( sometimes we make the sounds of the animals instead of the colors.) and The Red Ripe Strawberry and The Big Hungry Bear. Hi. I am Andrea Moore. I am the Young Athletes Director at Special Olympics New Jersey. Before joining the organization I was a Special Education teacher and developed several preschool programs for music and science. Now I oversee our educational and athletic programs for athletes with and without disabilities ages 2 through 10. My favorite children's book is Where The Wild Things Are. I remember reading it over and over again as a child and looking at the illustrations for forever. Hi, I'm Shanna Kukla. I am from Massachusetts but I have lived in Tucson, Arizona for the past (gulp) 20 years. When I was 8 my mom and my aunt and I spent a year traveling around the country in a Saab 98. We drove from campsite to campsite all down the eastern seaboard, along the southern coast, then down to Kino in Mexico where we camped on the wide open beach just south of the fishing village, up to California then across the northwest. It was 1973, we had no technology related items to pass the hours upon hours spent in the car and we lived pretty simply, no toys and not much "stuff. I had a few books packed in my bag and I spent the year reading and re-reading them. I remember practically memorizing a book called Encyclopedia Brown Finds the Clue. When we started out our trip I was in the lowest, remedial, reading group in my 3rd grade class. Since that year, reading has been a strong skill that is an important part of my personal and professional life. Go figure! Hello! My name is She-Chen Jenny Yen. I am a faculty member teaching ECE courses at California State University, Fullerton. I have been in the higher education for more than 20 years. I am currently serving as a member of the Affiliate Advisory Council for NAEYC. I am having a hard time deciding on my favorite children's book because there are so many! At this point, I would say "Don't let the pigeon drive the Bus!" Hello! I am Phillip Baumgarner. I teach in the mixed age classroom at The Child Development Lab at the University of Georgia. I also serve on the Georgia AYC board. As I write this, my favorite book is The Adventures of Beekle: The Unimaginary Friend, it could be a different book by morning! I am Evelyn Tsang, I work in afterschool programs and have a 3 yr old at home here in Montreal, Canada. My fav book series at the moment as the Father who had ten children books by Bénédicte Guettier. The stories are short and to the point, and each page of illustrations has details to giggle over! Hello early childhood educators! My name is Jane St.Pierre and I currently teach pre-sevice teachers who are attending St. Joseph's Collehe in Patchogue, New York. In the past I spent 33 years teaching many different elementary school grades in Port Jefferson, New York. It is impossible for me to choose a favorite picture books because I have two rooms filled with books I just had to have because they were so wonderful. However, I currently love two books by Kobi Yamada called What Do You Do With a Problem? and What Do You Do with an Idea? Additionally, I love Jane Yolen's book called What Do You Do With a Box? and Beautiful Oops! by Barney Saltzberg. I am very interested in helping my pre-service teachers gain confidence in their ability to teach young children and NAEYC certainly has many good resources. If you are a new teacher and know of a resource and/or idea that was especially helpful to you as you began your career, please let me know. Tweet me at sjcprof! Hello, Every childhood educator. My Name is Min Zhou. I was born and raised in Shanghai, China. I am an Early Childhood Music teacher and TESOL trainer.But now I have a new job,a homemaker. I am glad and come to USA. I love Children's book.My favorite is<Leo the late bloomer>by Robert Kraus. That book totally changed my life. I found myself in this book.